Better than a hot cup of tea at cutting through the winter chill, the Affinity Thermo Beanie offers the soft, stretchy and breathable comfort of 100% merino wool for everything from the daily commute to après-ski strolls. 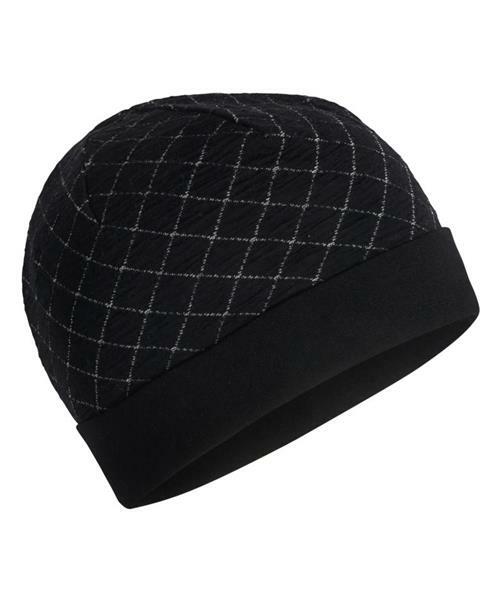 This lined beanie also features a stylish jacquard knit, as well as a soft, double-layer cuff to keep yIcebreaker's ears extra toasty in chilly temps. Affinity Thermo Beanie is rated 4.2 out of 5 by 5. Rated 4 out of 5 by Cocacola1982 from Nice warm base hat The hat fits small on my head so my ears weren’t completely covered for my winter run. That being said it was super warm and wicked the sweat from my head easily, in the respect it is awesome. Rated 4 out of 5 by RArmishaw from Bigger than expected One size fits all isn't true. I have a skinny head, and the beanie feels oversized. But, it fits nicely under my bike helmet, so I'm still happy with the purchase. Rated 4 out of 5 by tinisereniti from Comfortable Unisex - fits me loosely and my husband comfortably; however, I'd make it a little longer as it doesn't quite cover his ears. Rated 5 out of 5 by Agostino104 from Great Touke Great fitting and looks good. Warm for winter days.